Blue Moon/ Reflective Teaching, Inc. Writers of all ages write about their own life experiences. 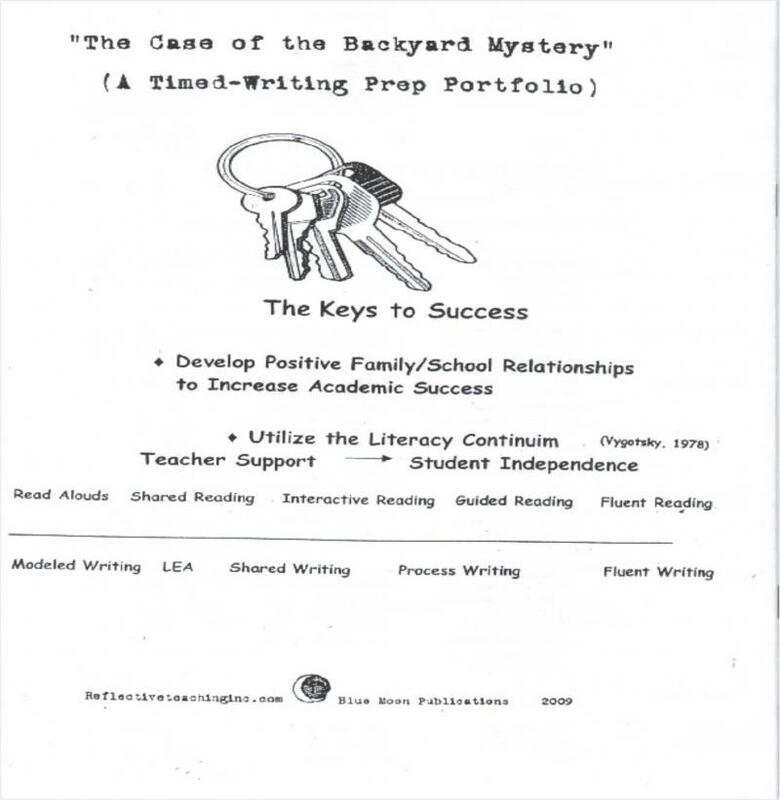 The portfolio is composed of 9 writing activities culminating with an autobiography, a timed writing genre. There are five mentor texts that serve as models for writing lessons. They are the five storybooks available on this website. Great experience for beginning writers of all ages to relate their life to their writing. The heritage writing project is included for advanced writers. Excellent writing improvement project for students who are home schooled ! When students complete this learning activity, they are better prepared for state standardized writing assessments as well as informal writing assignments. When entire schools participate in this professional development project becomes a 'no-fault' vehicle for the faculty can compare and improve student progress. During the seminar the teachers as life long learners complete portfolios themselves, improving their writing ability. 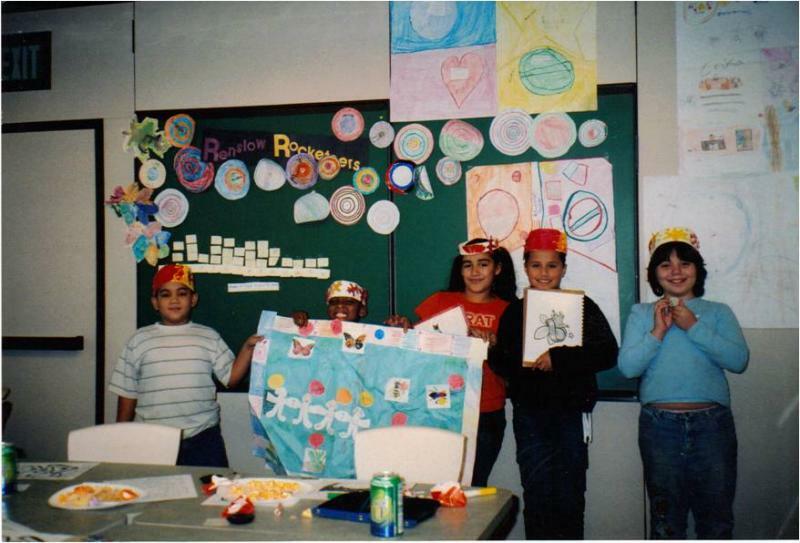 The portfolio project is a great writers' workshop activity, since it gives students practice with the six plus one descriptors of writing: ideas, organization, sentence fluency, word choice, voice, and holistically, or writing as a whole piece. Mini-lessons and conferencing are modeled in the professional development session. The series of seminars is recommended to allow teachers time and advanced training as the project is implemented in the classrooms. Dr. DeMakas is available to model lessons in classrooms on request. Introductory Price is $8.00 per student (plus shipping and handling), Buyer has permission to make copies of student activities for own classroom. Here are some activities in the portfolio designed to spark interest in learning about writing! Reflective Teaching, Incorporated will provide a series of professional development seminars to support the success of the writing portfolio project. These interactive, consecutive workshops are excellent for teachers or businesses to improve the level of writing ability. Mr. George Letz, Superintendent of MSD of Boone Grove Township School Corporation, likes the versatility of the writing portfolio project. "It is a wonderful way for the teachers to learn techniques to improve their students' writing levels! Ms. Eugenia Sacopolus, Grant/Project Manager at Ivy Tech in Gary, Indiana, comments, "Dr. DeMakas packs lots of theory in with her practical lessons. Teachers and students alike catch the writing bug when Meg Renslow challenges them to learn!" Mrs. Jackie Zambo, 1st Grade Teacher at Irving Elementary in Hammond, Indiana, shares the writing portfolio with student teachers each year. 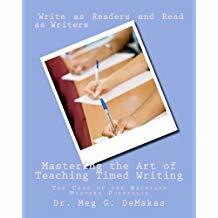 She says enthusiastically, "Dr. DeMakas puts everything together in her writing portfolio! 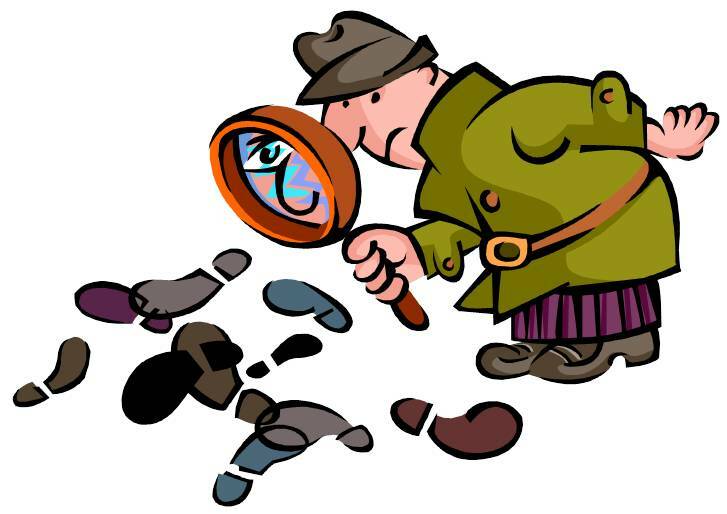 My students definitely make writing progress when they do the lessons in 'The Case of the Backyard Mystery Writing Portfolio'!" Use the Buy Now page for purchasing this product. Copyright 2009 Reflective Teaching, Inc.. All rights reserved.